Carmel Mawle has taught piano, self-defense and child safety awareness, as well as traditional Karate and Kobudo (weapons) training. She’s served as executive director of a youth orchestra, and as president of a chamber music organization. A longtime member of the Denver Lighthouse Writers Workshop, she blogs and writes from the northern Colorado Rocky Mountains where she lives with her husband and Max, a ten-pound border terrier mix who firmly believes he’s a mountain dog. 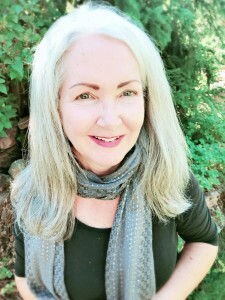 Founder of the nonprofit literary organization, Writing for Peace, Carmel has served for six years as Editor-in-Chief of DoveTales, An International Journal of the Arts, and her short stories, essays and poetry have been published in many literary journals and anthologies. You can find her blog at www.carmelmawle.com. Jamila, a short story featured in Smokelong Quarterly. The new Journal is awesome. Thanks for the work you do…! !